This past weekend, herself and I decided to get away for some rest and a bit of birthday celebration. We were in deep need of just getting away. We chose to head out to upstate New York. Since I attended cookery school there, we figured it was the perfect get away. We were both tired of cooking. Let someone else do the work we thought. After all, one should be able to get a decent meal at a culinary school. The pub itself seemed charming. It had all of the qualities of a pub “down the country” back home. Sure there were American sport events on the telly. Keep in mind that they need to cater to an American demographic. We sat down at an old knotty wood table. The server came over and announced his name and asked if he could take our drink order - a cider for herself, a stout for me. We sat there, chatting about how nice it was to be anywhere but home. We talked about how nice it was just to be the two of us. We talked about how we do not necessarily miss being in an Irish restaurant environment around Saint Patrick’s Day. We talked about the pandemonium that this particular staff at this particular pub would face next month. Then she stopped talking. She glanced down at the table top advertisement. A simple and brief, “Oh. My, God.” came from her lips. She turned it around to face me. The above image is what I was confronted with. A range of emotions stirred up inside of me. I could feel the hollow of my gut churn. Who the feic thought this was a good idea? An Irish pub, in America, promoting terrorism and celebrating needless death. Or so, in this day and age would be considered the “snowflake” definition of the libation. Maybe the opening sentence of this paragraph is a wee bit extreme. That is however, what it comes down to. In reading some research before I wrote this piece, the creator, Charles Burke Cronin Oat, was quoted as saying, “The drink gets some bad press to this day," he told the Guardian newspaper in 2016. "It wasn't done to celebrate car bombs, it was done to celebrate Irish families here in America.” It was not done to celebrate car bombs? That is what the drink in fact “does”. You drop a shot of Jameson’s in a pint of Guinness and it “explodes”, frothing upon impact. "The next thing you know it is the Irish Car Bomb, although at first it was the Belfast Car Bomb," Oat said. Because naming it “Irish” takes the brunt and the insult off of making it specific to Belfast? I must have sat there at the table staring at this promotion in my hand for what seemed an eternity. Words could not come out of my mouth. My wife’s eyes reflected the horror that was in my own. Neither of us knew what to say. At that moment our server came over and saw that I was looking at the table top advertisement. Not so much looking at it, as I was through it, and feeling all of the feels, and offensive messages it was conveying. “I would not want to to try one at all.”, my words came back, deadpanned and cold. I do not think he knew what to respond, as he had seemed so proud of this “wonderful” idea someone there had come up with to promote their Plastic Paddy celebration coming up. “We are just giving our customers what they want. Using our infused whiskeys is a great twist!”, he perked up. As if that was a good justification. I went on to explain how it was not the idea of the flavoured whiskeys, and the choosing of you own kind of draft etc… (Although that idea is waste of all good ingredients.) But that is my own opinion and has no bearing on the lack of ethical message that this pub was sending out. Sure, most American can not identify with the feelings that those images evoke. I do not even know if many people are still able to identify with it no matter what their background. Maybe many of us have become desensitised by these things as the years have gone on. That is sad in of itself. This piece is not meant to be a public service announcement. It is also not a means to get on my “snowflake soapbox” as some would say, and plead sensitivity. At first I really thought that they should reconsider the promotion. Then I thought that maybe they should at least rename the drink to something less offensive. But then, where do we draw the line? That is no worse than PETA asking for “a bird in the hand” or “bringing home the bacon” to be changed to less animal oriented phrases. Sure those things are as offensive to them as a Car Bomb is to me. Most people who celebrate Saint Paddy’s in that way; what I call the “plastic Paddy” ideal are not going to change. They will still drink to excess and down Car Bombs. That is their right. In the end, I feel the real message is about educating people. It is about making sure these terroristic tragedies do not continue to happen. Whether they be in Ireland, Northern Ireland, Syria, Afghanistan, France, and yes, the United States. It is about not just remembering and preventing these tragedies. It is also about not trivialising them into hokey promotions so that the ideas of them come to mean something completely different. I stated to the server that I am just one person passing through there. Most of their clientele are going to be celebrating Saint Patrick’s Day as a reason to just celebrate something. Being Irish or celebrating what they think the Irish are, is just a catalyst, an excuse to drink and party. For them, that is fine. I feel though, I made an impact by telling him why I thought the whole promotion was in poor taste. I could see my emotions mirrored in his eyes when I told him of the stories that friends and family had told me over the years. We made a connection. Maybe he would convey that message on to the owners and management. Maybe not. For me Saint Paddy’s is about celebrating being Irish. It is about connecting with the things that are cultural and beautiful in Ireland and Northern Ireland. It is about the music, the art, the food (without a doubt), and the feelings that those things bring me. Sure, I’ll have a wee bit of whiskey as I raise a glass to Ireland, to family, and to friends. I will raise a glass to Patrick its patron saint. The only explosion that will be going off is the pride and passion for what and who I am; not just on 17 March, but everyday as well. I have been feeling an emptiness inside related to my lack of motivation to do something with this blog. But then I began to reminisce about what the holiday has meant to me through the past few years. I found an entry in my journal from four years ago. The words that I read, were as relevant today as they were when I first wrote them. In fact, the sad part is, my life has not changed much since I wrote them. I still feel the same. I keep re-reading those word over and over again. I have two choices. I can lament about how horrible I feel about not doing what I set out to do. Or I can treat those words as a letter from my past self to a future self, the one I am in this present day. I prefer the later. Maybe what I wanted to accomplish then, I was not ready to do. Or more so, maybe my God, was not ready for me to do those things. Maybe there is a message somewhere in the past four years that will spell itself out if I look back on all that has happened to me in that course of time. My main goal is not to make this blog about religion. It is not for me to dictate where others find solace and peace in their faith or even lack of it. But, my faith is part of who I am. I will not hesitate to reference that faith. That does not mean that I am looking to shun my Pagan friends. I treasure my friendships with those people. However, I feel through this upcoming feast of Saint Padraig, that I have been sent a message; a message from him, through God. "I was like a stone lying in deep mud; and he that is mighty came and in his mercy lifted me up, and raised me aloft and put me on top of the wall. And therefore I ought to shout out aloud and return something to the Lord for the great mercy he has shown me now and for all ages." Such an image, when you consider the stone walls that weave across the Irish countryside. For some time now, I too have felt like a muddy stone. I need to trust in my God to put me on top of that wall. I need to pray to be lifted up, so that I can take the gifts that He has given me and finally put them to the use that he designed me to do. Here is the journal passage that I wrote about Lá Fheile Pádraig those years ago. This time, I not only read the words, but I choose to live the words. St Patrick’s Day. Even though it has been a while since I have written anything, the idea of the day made me feel that I need to write again. I have not written for many reasons. I have not felt inspired. I have felt distanced. I have felt disconnected. Then I had a conversation online with a longtime close friend. She brought it to my attention about getting beyond my comfort zone. There have been opportunities to get beyond the lines that I have drawn in that comfort zone. There have been many of those opportunities that I chose not to take or act upon. I realised that I have to stop waiting for opportunities to bestow themselves upon me. I need to reach out to those opportunities. I need to do more than reach out to them, I need to seize them. Much like I did with Croagh Patrick. I never imagined that I would have the drive to reach the top of that mountain. Yet, I did it. I would have been disappointed with myself if I went all the way there and did not make it to the top. That is not to say that everyone needs to do it. It was my personal goal, and I met it. It felt amazing to do it. Then, when I came back, my world as I knew it began to change. What I felt as though I had accomplished, diminished. I lost sight of what it was to have made a goal. Perhaps that is because all of the other goals that I had set out for myself previously, crumbled. I vowed that I would continue on. Now, I realise that I was not continuing on. I was just going through the motions. I had forgotten what it mean to have prayer in my life. I will leave it at that. I am not looking to turn this into a preachy site. What I am saying is, that a part of me that had existed at one time, was missing. Much like the journey up the Reek, I have been on a journey since I left the life that I had known for the last seven years. Some people can walk away from things easily. Couples divorce. People pass on. Things come to an end. These are all facts of life. It does not mean that we can all handle them. What I had experienced for the last seven years was a great career experience. I am not a person who can easily leave a piece of himself behind. I need to constantly reflect and figure out how to get that piece of myself and re-join it to who and what I once was. I am not able to leave part of myself behind. This is why I am taking this time to dedicate myself to breaking outside of my comfort zone. I am dedicating myself to reaching beyond an area where others may say that I should not go. I am reaching beyond to a place where others will say that I am not qualified. That is okay if others feel that way. What I am reaching toward is the authentic side. I have always wanted to do things as authentically as I could. The hard part is, that it does not always work in a business sense. Authenticity, is not always the most practical, financially. I get that. That is probably why I chose not to do it as a career anymore. For me, doing it right and correctly is more important than doing it to make as much money as I can. Everyone has his or her motivations. Mine are are doing things as laboriously  and as intensely as possible. Shortcuts are not an option. Keeping in mind that shortcuts are not the same as incorporating modernisation. In the next few days, I intend to write about why I feel the way i do about food. I often forget, that because this is my space, I make the rules. It does not always have to be about a text, photos and a recipe. This week is about climbing that “mountain” again. It is not just about finding the passion, but latching on to it. It is about living the passion. I am hoping to write a bit each day this week to get me in the habit of writing again. Eventually recipes will follow. Much like climbing the mountain, I will go with a staff for support, a camera to be my eyes, and good company to share the journey with. Four years later I do plan to write my reflections not on just this message, but on the holiday itself. I plan to open up about my feelings in regards to the holiday, how I plan to celebrate it, and a few other ideas. I am finally ready to take the journey I thought I was ready for so long ago. When I wrote about that mountain four years ago I thought the answers were going to lie at the top of the mountain. Even though I have not reached the top yet, I have forgotten that I should be looking for the answers in the journey itself. I watched an interesting documentary the other evening, 42 Grams. It started off with a chef and his wife, running an underground restaurant from their apartment in Chicago. Let me just interject here for a moment, this is not an idea that I am looking to entertain - ever. However, the film did speak to me. It spoke to me, especially at this time of year, when I always reflect on when I left the Irish restaurant that I spent 7 years at. As Alexa, the wife and one of the main focal points of the movie said, "the name is just a riff on the idea that the soul weighs 21 grams: 42 Grams represents what both Jake and I bring to the space.”. The title of the film is derived from the name of the restaurant that the husband and wife started together. At the beginning of the movie, I could completely relate to Jake, the husband and chef in the piece. He expressed how and why he came to get out of restaurants after so many years. He realised that he was moving in the direction of making his dream a reality, but at some point did not believe in the journey any more. This was how I was feeling when the restaurant was sold and the new owner wanted to turn it into a pub. I thought while working at the Irish restaurant, this was going to be the big goal that I had always worked toward. New people came in, and I could see that the "soul" that I had put into it, was being choked out of all of its life. In the movie, the chef would watch sous chefs killing themselves for their head chefs and owners, who would get all of the glory without having to put in much time. People would come to these restaurants and eat food that was basically "assembled" and not really "cooked". That was where I envisioned the new pub going. The direction and feel of the pub were all about "getting the food out" and less about quality. That is not to say that it actually became that way. That was how I envisioned the way it was headed. It was then I decided that I could either cook for business or for passion. In that scenario, I was not going to have it both ways. I perceive the chef that took over the now pub as one who is not passionate about that food. Granted, he may be good at cooking, but his cooking lacks passion and soul. I am sure he is good at business, but his passion is not my passion. So we are different in that sense. That is why I would rather cook for passion than for business. To paraphrase the bible verse: "No one can serve two masters; for either he will hate the one and love the other, or he will hold to one and despise the other. You cannot have a passion (for food) and making money." That was how I made the choice not to stay on with the new owners and the pub. I needed to retain the passion that I had finally found. I am not a person who finds happiness in money. Yes, it makes things easier sometimes. But my happiness comes from my work. A dear friend of mine once inscribed a cookery book as a gift to me, "Get happiness out of your work or you may never know what happiness is." - Elbert Hubbard. That is what I have strived for ever since I realised that money does not motivate me. My happiness comes from the quality work that I produce, and not from the dollars or numbers that the food I make generates. That was the choice that I needed to make at that time. As I have said before, I always wish it a success. The new owners seem to be happy with how it has turned out. That is the important thing. Perhaps more importantly for them is, that people seem to be happy with it. We definitely do not have the same vision of how a business should be. That is okay. Their vision is not how I pictured it in my mind. Then again, I am more of a purist. I like things more simplistic and "rural". The pubs I enjoy most are the ones in small towns, where you could "walk down to the local". Those pubs are the ones where you can sit and engage with the people of the town. City pubs are not bad. They just are not my style. They cater to tourists more than the local clientele. Rural pubs’ food comes more from the heart than it does from the account ledgers. Rural pubs’ food is the food of someone's soul. To me, you cannot put a price on that 21 grams of passion. I have been doing a lot of thinking about food lately. Granted, I always think about food, but this type of thinking is a bit different. I have a piece that I am going to release later this week. That piece is going to cover how I put my soul into everything I do when it comes to food. A bit of it will touch on my philosophy towards it. However, I wanted to elaborate more on that idea here. I got caught in a "rabbit hole" of what is considered fine dining food. Coincidentally, I was watching videos of posh food in high-end restaurants. It made me start to think. When I was a student at a cookery school, that was all I wanted to do. I wanted to create beautiful amazing food. I wanted to create things that were more "intellectual" and "artistic". Good Lord, I was so full of myself then. I thought only food that was "well thought out" was acceptable. Little did I know, that simplicity was a far better thing. I had always heard the phrase "less is more". I do not think that I actually realised what that meant. When my uncle called me up to come to get that Irish restaurant back on track in America, I was hesitant. Sure, I knew what Irish food was. I had been surrounded by it all my life. I saw it as something that was beneath me. But, I needed work. This was a chance to start over, in a new place. This was a chance to get out of the small pond that I had been in and grow into something bigger. After all, it would not be forever. Or would it? Little did I know that I would have a food epiphany. I started creating food that touched my soul. It opened up doors that I had long ago closed. It caused me to reflect on who and what I really was. No, it was not forever. But it was for an amount of time that was just right. I was converted. I taught myself how to create things that were the exact opposite of what I thought food should be. I was creating food that was stripped down and at its most basic. For some reason that was satisfying to me. Food, in my opinion, does not need to be elegantly plated and contrived. It is not about micro this and using tweezers to get that garnish just right. Do I think that that kind of food is wrong? No. There is no right or wrong when it comes to food. I think it is about whatever satisfies our hunger; both physically and philosophically. Some people have the need to experience food in the most pretentious ways possible. They want food to be cerebral, much like art. If that type of food speaks to them, that is fine. I need food to speak to me on another level. As I was watching "Worth It" on the television last night, it struck a note inside of me. The two hosts were eating a caviar souffle that cost 2500.00 American dollars. An appetiser for 2500.00! What the feic? The food I am about is not well understood in America. Then again, I do not know that any ethnic foods are well understood outside of their own confines. Sometimes even within their own confines, they are not that well understood. It saddens me when ethnic foods are Americanised to appeal to the general palate. I watch it happen all of the time here in the States. I think that is why I needed to escape the restaurant life and the direction it was headed in. What I do is about as real as it gets. Yes, there will be native people who say what I do is not real to them. But that is because even native food changes from region to region. But here in the States, restaurants and eateries need to appeal to American palates so that they can stay open and make money. They are businesses. That is what businesses do. They need to make money. I am taking A Kilt and a Cuppa in a different direction. I already have a decent means to make a living. So, therefore, I am creating food that is more about bringing culture to those who really appreciate it from Ireland and the U.K. It is about educating people with food that is not "dumbed down". It is about the food your Gran might have fed you if you visited her house or her farm. This is food on a small scale that touches another level. It is mostly about quality over quantity. If I make a ton of money, that would be brilliant. But I refuse to sell food just to fill someone's gullet. I am in the business to sell food to satisfy one's hunger for nostalgia. Will it be exactly as you Gran or Mum made it? No. But it sure will get feicing close. Keep posted this week when I elaborate on putting my soul into what I do. While it is true that I primarily only work during the academic year, I am trying to pick up some odd jobs here and there. Luckily I have been able to round up a few spots working on food trucks and at festivals for the summer. With my other time, I am hoping that by blogging enough I will get people interested in what else A KIlt and a Cuppa does in addition to this - namely catering and items for delivery. To distract myself from the security of a regular pay cheque that I am used to, I have been trying to research things that are a bit different and unusual. The past few weeks I have been concentrating on stinging nettles in the area. I was able to procure some from a few different sources. There is one local farm about 45 minutes away from here that grows and sells them. I have also purchased seeds online to start growing them for ourselves. I hope to grow them in a large enough pot so that we get enough of a harvest, but they do not take over our entire yard. I have looked online to see what other bloggers and culinarians are doing with stinging nettles. Soup seems to be the most common of applications. Those that lean toward more healthy and medicinal purposes tend to write about making nettle tea. There are those that also use them to make nettle beer. I wanted to do something a bit different. My curiosity piqued toward seeing if they could be applied to desserts somehow. I did not even have a thought in my head as to how one would even use them in that genre. I stumbled upon a Lemon Nettle Cake with Lemon Buttercream on veggiedesserts.co.uk by Kate Hackworthy. Not wanting to completely lift her work from her blog, I reinvented her cake into a Lemon and Nettle Madeira Cake with Lemon Glaze and Candied Lemon Slices. I have to admit, I was a bit hesitant when I first set out on this journey. But, at the same time my curiosity wanted to know. The verdict? I actually enjoyed this cake. The nettles, with their herbaceous flavour notes, blended very well with the tartness of the lemon. The cake is not cloyingly sweet in trying to cover up the flavour of the nettles. The chlorophyll from the leaves tints the cake a really nice colour. Overall, I would make this again - especially for a springtome afternoon tea. It is great when things like this turn out. It helps lift the spirits when the direction of the journey that I am on, does not always seem to be so well defined. It remindes me that I can still do this. It reminds me that there is still a passion and a curiosity in there. Most of all it reminds me, that it is all worth it. Preheat oven to 170C/325F. Grease and flour a 9.5 X 5 loaf pan. Using rubber gloves, carefully wash the stinging nettle leaves and remove any stems. Place in a pan of lightly salted boiling water and blanch for 2 minutes. This deactivates the sting from the nettles. Drain into a colander in the sink. Shock under cold running water, drain, squeeze tightly to remove any excess water and puree in a food processor. Set aside. 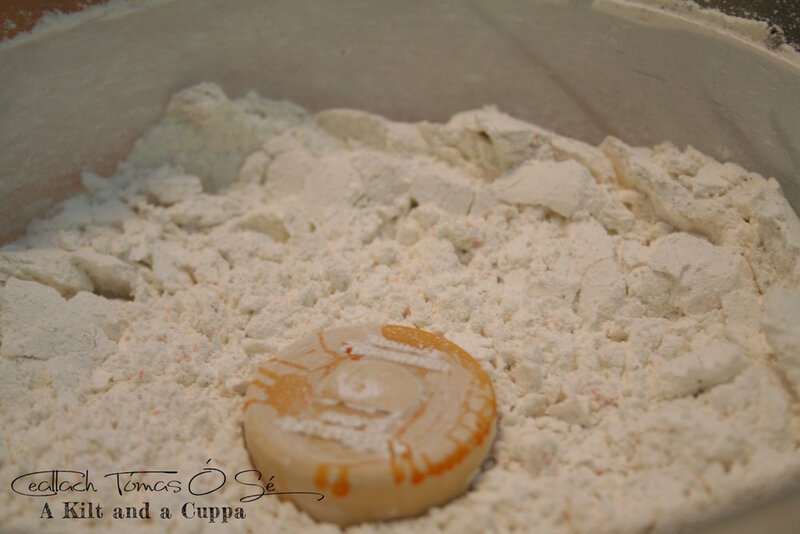 In a large bowl, cream together the butter and sugar until light and coating the sides of the bowl. Add in the eggs, beating one at a time, then stir in the nettle purée, vanilla, zest and lemon juice. 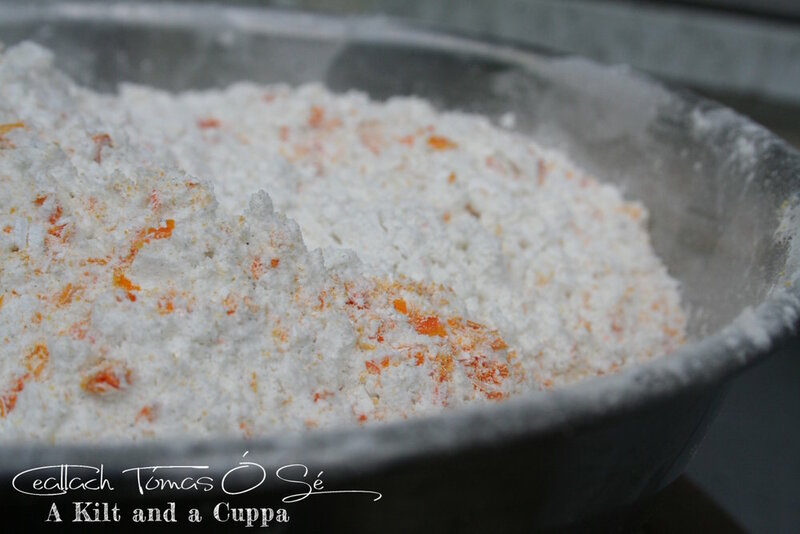 Sift together the flour, baking powder and salt and stir to gently combine. Spoon the mixture into the prepared loaf tin. Bake for 40 minutes or until a skewer inserted into the centre comes out clean. When done the cake should have a signature dome and crack down the length of the cake, according to Mary Berry. Mix together the lemon juice, zest and icing sugar. 1. Slice lemon into paper thin slices. Remove any seeds that may still be attached. 2. Fill a medium-sized saucepan with water. Bring to a boil. Add lemon slices and blanch for 1 minute. Drain and lay out on a sheet pan to cool completely in the refrigerator. 3. Bring 235 ml of water and the 200g of sugar to a boil in a medium-sized sauté pan. When sugar has dissolved and water is bubbling, reduce heat to a simmer. 4. Add lemon slices to water/sugar mixture. Simmer for 1 hour until the zest on the slices is translucent. 5. Transfer to a parchment lined sheet pan. Allow slices to dry until cool but still a bit sticky. 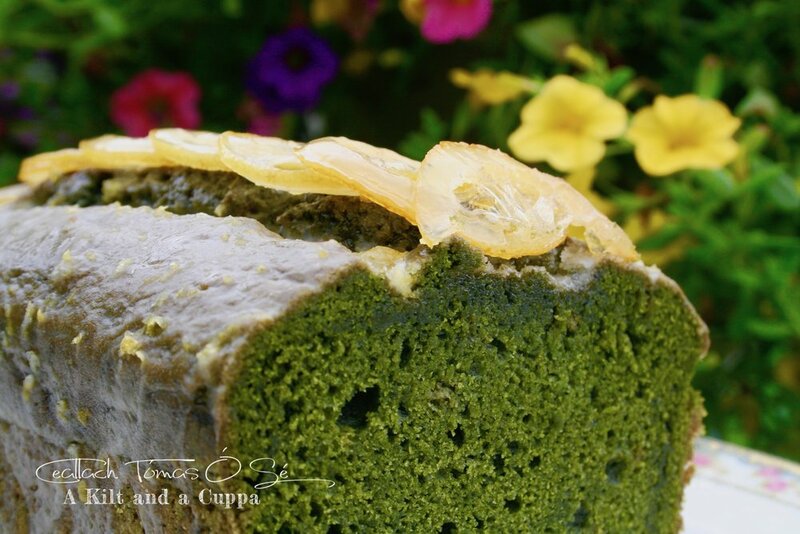 If using on Lemon Nettle Madeira Cake, arrange in a shingled row down the centre of the cake. It will come as no surprise to you that generally abhor any type of convenience foods. I do not use cake mixes. I am not one for tinned soups. I prefer to make things the long and complicated way. I prefer to make them as they were originally made. To me, it feels as though they were made with more love, care and passion. Thus, from scratch has to be better. What if I created somethng that is instant, from scratch? Then it is a complete oxymoron. There are certain things that take me right back to my childhood. Custard is one of them. Custard was an accompaniment to many types of desserts. Custard topped puds and crumbles. It was the glue that held together a trifle. It was mixed with fresh fruit. There were so many applications to use custard powder. It's versatility was amazing. But, as I became aware of good food and even more so, of high quality food, I began to question the thing that was always a comfort. Why would someone not just make custard from scratch? It would have to be a much better product, would it not? In 1837 Alfred Bird created custard powder not out of convenience, but out of necessity. Bird was a scientist and chemist. His wife happened to be allergic to eggs, yet she loved custard sauce. Bird created an eggless custard powder to satisfy his wife's fondness for the dessert accompaniment. I will admit, there is nothing like the taste of custard powder. I close my eyes and I am reverted back. I am in another place and time. This time of year, when strawberries and rhubarb are in abundnace at the grocer, it only seems appropriate that a spring crumble and custard sauce are served as afters. Seeing a good deal on rhubarb, I could not resist this past weekend. "Ordinary cows’ milk naturally contains a mix of both A1 and A2 proteins. a2 Milk® comes from cows that naturally produce only the A2 protein and no A1. Published research suggests that a2 Milk® may help some people avoid digestive discomfort. Overall this was a great success! I was able to satisfy a culinary craving without feeling as though I had sold out to a second rate convenience short cut. The quality of this homemade instant custard powder is just as good, if not beter than the shoppe bought version. I was, much like Alfred Bird himself able to create something, for my daughter to enjoy without having her feel as though it was a lesser substitute. Maybe in the end, instant is not so bad, especially if it is instant from scratch. Put Icing Sugar, Cornflour, Dried Milk, and Salt in bowl of food processor. Split Vanilla Beans in half and add to dried mix in food processor. Turn on processor to blend dried mix with vanilla bean seeds. Slowly drizze in yellow food dye while processor is running. Remove mixture into a glass jar and store with lid on until ready to use. For each 100ml of custard – a good sized portion on a pudding ….. place 1.5 Tablespoons of powder in the bottom of a microwaveable bowl or jug. Add a little milk and mix until smooth – see the little flecks of vanilla? They look very visible in a tablespoon of milk but not quite so much in a jug full. Add the rest of your milk (100ml for each 1.5 Tablespoons) and microwave for one to one and a half minutes until thickened. If Milk is too cold it may take an extra 45 seconds to 1 minute to thicken. Keep stirring in between heating intervals. You can use a product such as a2® milk, or a nondairy type milk such as coconut, almond, rice etc in place of regular milk to make the custard sauce. The non dairy milk in addition to the coconut milk powder in the base recipe would make for a great vegan version of this recipe. I have been away from "the Irish restaurant" for four years. In that time, I have been working various food and non-food related jobs since. Nothing else has captured my heart as that restaurant had. It has been more of a journey to find the right outlet for my passion. I came here specifically for that job. I moved my family here. I have no regrets about that. I think what I regret is, letting the love for what I do, not matter "enough". Sure, I started this blog. But, I have allowed my self to just do it haphazardly. I've done it as a hobby. I think this is the point where it needs to be more of a way of life. I have had, in the last few weeks, a voice inside telling me that I need to make this a second career in order for it to become my first career. I need to work harder on getting this message out there. I need to listen to my heart. I need to treat this more like it is a part of my soul and not just some Pinterest board. I wanted to walk away from the job that I had been doing recently. That job afforded me extra time in my life to do things related to A Kilt and a Cuppa. I thought maybe if I found another full-time chef gig, it would make me forget how miserable I have been. What I failed to realise was, that nothing else was going to make me as happy as doing A Kilt and a Cuppa. Then my current job offered me a contract with a 3% raise for next year. The voice inside me, the spirit, said loudly and clearly, "You are not trying hard enough to make this work". The voice was right. So I faced my fears, knowing that financially, right now this would be a difficult decision. But I went ahead and committed myself to it. Somehow, someway, A Kilt and a Cuppa needs to be made known. It needs to get the message out there. Sure, what we do is a niche market. That does not mean it cannot work. It just means that I need to find the right people and make them believe in me and in it. I need to believe that sacrifices now will produce rewards later. This is my home now, here in Pennsylvania. But that does not mean that this is my home forever. I have to look ahead and see that I can get back to my real home. The journey cannot just exist inside my head. If it is to come to fruition, then it needs to start inside my heart. The journey cannot just be the map. It needs to be the physical and spiritual act of putting one foot in front of the other. It needs to be the act of taking it all in and absorbing each and every experience. Hopefully when I reach the destination, be it physically, or emotionally, or both I will have returned to that place in my heart. What is new besides the New Year? What will this new year, 2018 bring? In the back of my head, I am hoping that it brings better things than 2017 did. Last year was not horrid. The again, it did not exactly fill me with feelings of warm cosiness either. While things did get better work-wise, they did not in relation to this blog and the side business of A Kilt and a Cuppa. Right before the holidays last year, the website was hacked and destroyed. This meant the shop was lost and there was not much opportunity to make sales for the season. At first, I thought that it was not worth it to keep going. When I began this as a blog, I did it mainly for myself. It was part of the healing process to move on from the Irish restaurant that I spent almost seven years at. There was a lot of myself that I put into that place. I wanted something to show for it. In the course of time since 2014 when I left, the website was hacked 3 different times. After this last time, I decided that I needed to do things differently. I moved the site to Squarespace. I decided on a very clean minimalistic look for it. I wanted to start clean, neat, and completely different. Yes, this blog is written for me. It is in part for my kids, so that they have something to go to in the coming years when they want to reflect on the foods that we have all come to know and love. It is a cookbook to share with everyone. I am not a believer in "secret recipes". Food is meant to be shared be it as a meal or as recipes for others to prepare themselves. That is what the writing part of this is all about - sharing. I get to share my passion, my interest, my knowledge about this specific type of food. The other part of this site (due to take form soon) will be about the Shoppe. This is where I can share the physical fruits of my labours. This is the place to sell those things that we became known for when we were at the Irish restaurant. There are things that we will do seasonally as well as regularly. These are the items that we will produce for delivery sales. One of the goals for this year is to figure out shipping details as well. This way we can share with a much broader audience. Hopefully, we can have all of that ready to go, so this year's holiday season will be much more profitable. Other goals on the agenda for this year include a more consistent writing schedule, promoting our catering menus, and not just waiting for things to happen. This is the year that is about getting out there and really promoting A Kilt and a Cuppa. This is the year to really let people know what we do and why it is so good. If you plan on embarking on this journey with us, welcome aboard! Tell anyone and everyone that you know. The more people that we can get to share this trip, the better. This year will hopefully be a good journey. May the road be filled with many stories to tell and good food to eat!